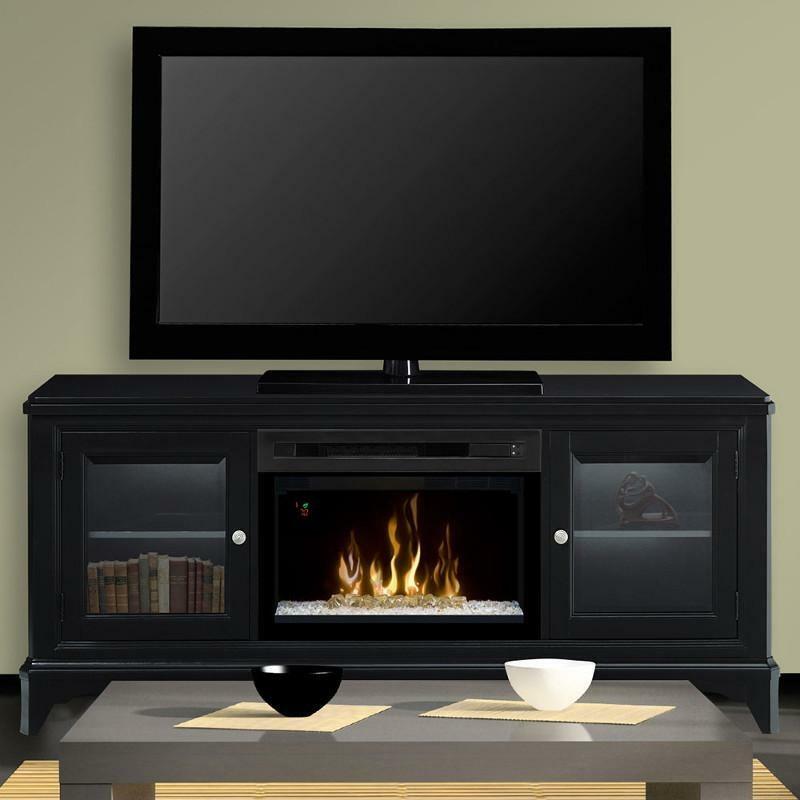 The Winterstein media console fireplace from Dimplex is the perfect backdrop for the dazzling Multi-Fire XD™ Electric Firebox including Realogs™, Comfort$aver™ heating system and gWave™ gesture recognition technology. 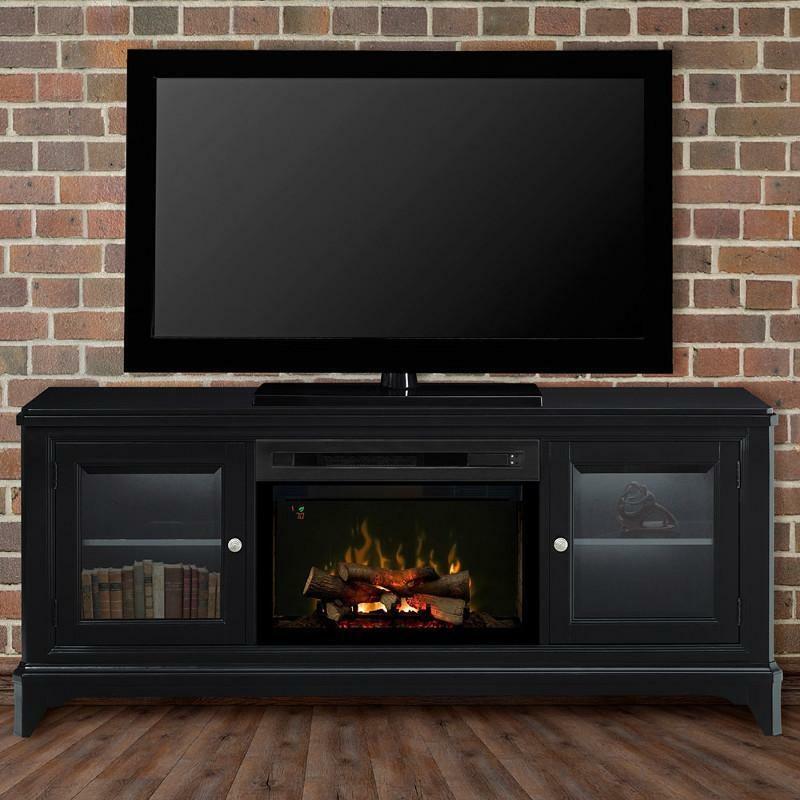 The flames are brightened by and play off of the soft designer black finish and brushed nickel hardware. 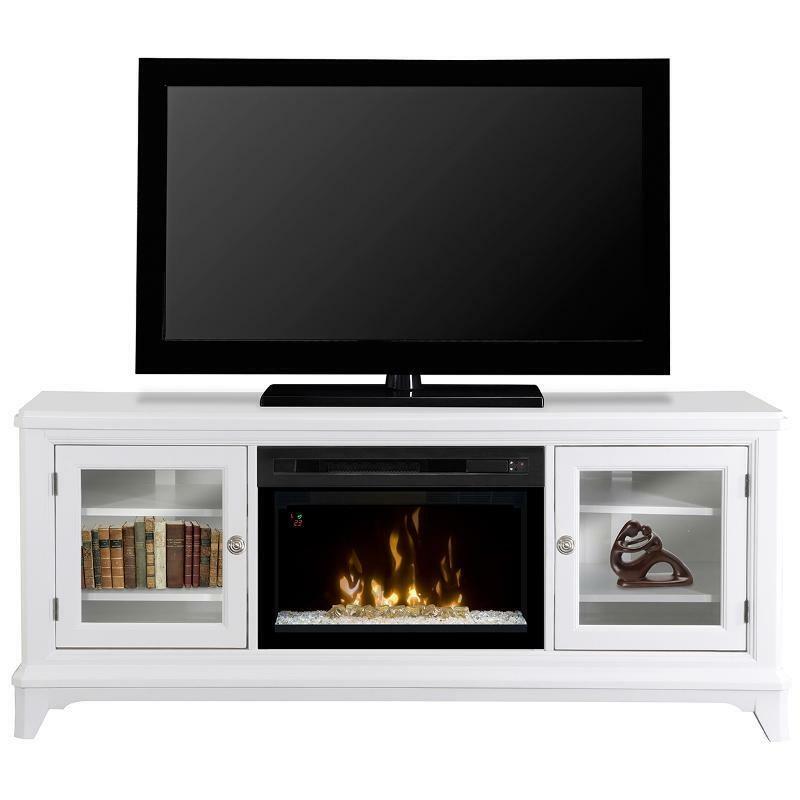 Tempered glass doors open up to reveal two adjustable shelves on each side with openings at the back for easy cord management. 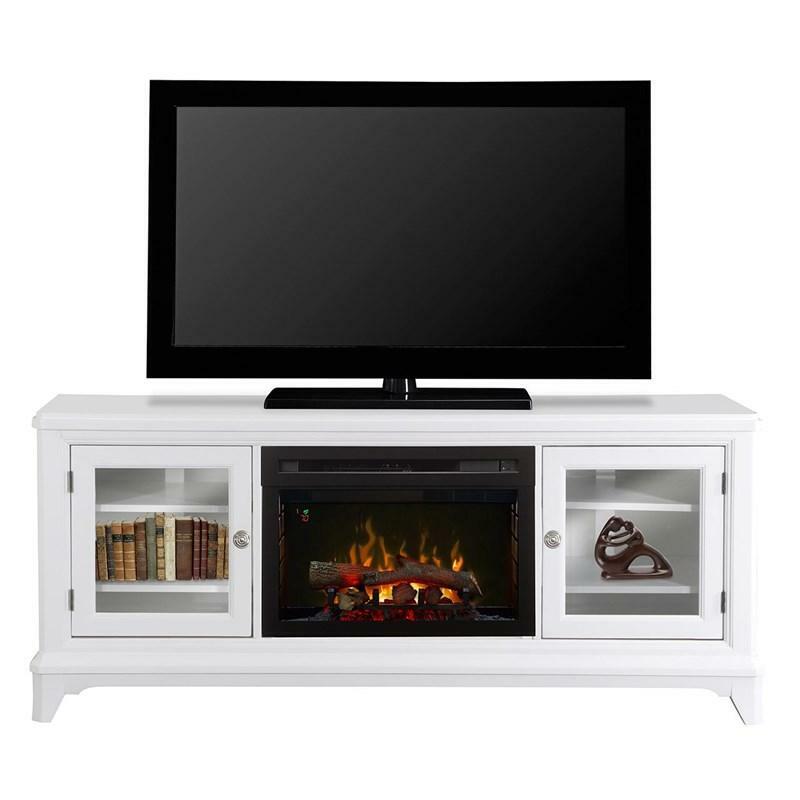 This crisp and clean console is the perfect combination of fun and functional.